A single, consolidated repository of all guest data, both at the property and multi-property level, means that information access can span all areas of the business and all parts of the organization. Hotel performance improvement depends to a large extent on technology interoperability and data integration. The PMS, the central reservations system (CRS) or channel manager and the revenue management solution all need to seamlessly connect and share data — preferably, in a real-time manner. Inventory-related data needs to flow into all distribution channels, including direct booking platforms and call centers as well as the Global Distribution System (GDS) and OTAs. The CRS needs to publish optimal pricing decisions and channel recommendations based on input from the revenue management system, which, in turn, needs to capture up-to-the moment information from the PMS. Ensuring that the revenue management solution interfaces with both the PMS and CRS is imperative if a hotel is to effectively position itself vis-à-vis other hotels in the same competitive set. Also important is the ability to customize the direct booking engine within the CRS, or channel manager and to automate channel-specific offers via the call center and other channels. Data integration ensures that room rates and inventory availability update quickly and accurately across all booking channels. Otherwise, prices presented on some channels may be lower than desired. Similarly, guest rooms presented as available may, in fact, be unavailable, causing overbooking and harming brand reputation. Data integration should ultimately lead to completely centralized and unified guest data. Once a pipe dream shared by hoteliers far and wide, the ability to store all guest information in a centralized data repository is fast becoming a reality, enabled by recent progress toward interoperability of hospitality technologies. The PMS sits at the heart of this interoperability. Increasing vascularity means flowing all relevant guest data streams into the centralized repository. Ideally, each guest profile record should contain all demographic, psychographic and past purchase information, with details of guests’ stated and inferred preferences, gathered from across all parts of the property and even from partners and other sources. Some information may be generated through bookings and transaction data. Some data may come from guest satisfaction surveys. 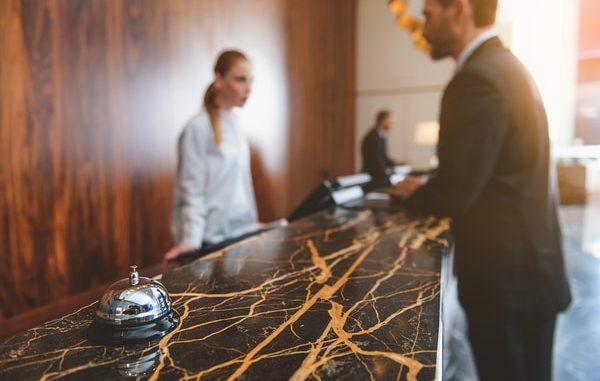 Some data may flow from interactions that take place as casual conversations with the front desk, concierge or bartender, or from observations recorded by housekeeping staff. Some data may come from third-party providers. Some systems may even incorporate social media data. Next-generation PMS capabilities make it possible to merge all customer profile data into one dossier and also provide complete folio history. Charges incurred and payments made by an individual guest or a corporate account during a stay, or over a specified period of time, are recorded and can be readily accessed, providing hoteliers a detailed view of their spending with the property. After all, the PMS plays an instrumental role in ensuring that guest-facing interactions consistently meet or exceed guest expectations. It does this, in part, by capturing, integrating and storing guest data in a single, consolidated repository. Enhancing the quality of the guest experience requires that hotels understand guests’ wants, needs, situations and preferences at a granular level and that they act upon that understanding in a systematic fashion to deliver superior, tailored service. Are you an industry thought leader with a point of view on hotel technology that you would like to share with our readers? If so, we invite you to review our editorial guidelines and submit your article for publishing consideration.